I’m so excited for today!!!! This morning I taught my Pre-Halloween Spinning class at the Y. I love Halloween, and everything that goes with it! 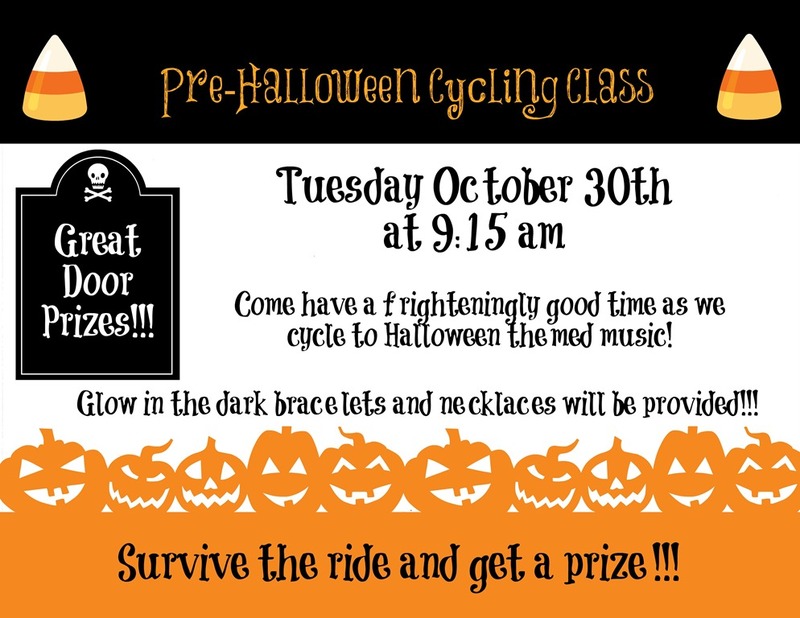 This year my class does not fall on the day of Halloween…will that stop me from getting my Halloween cycle party on? I think not!! So, we did a Pre-Halloween ride instead. I put together a fun ride and a ton of goodies to go along with it. Did I mention that everyone got glow-in-the-dark bracelets and necklaces!?! 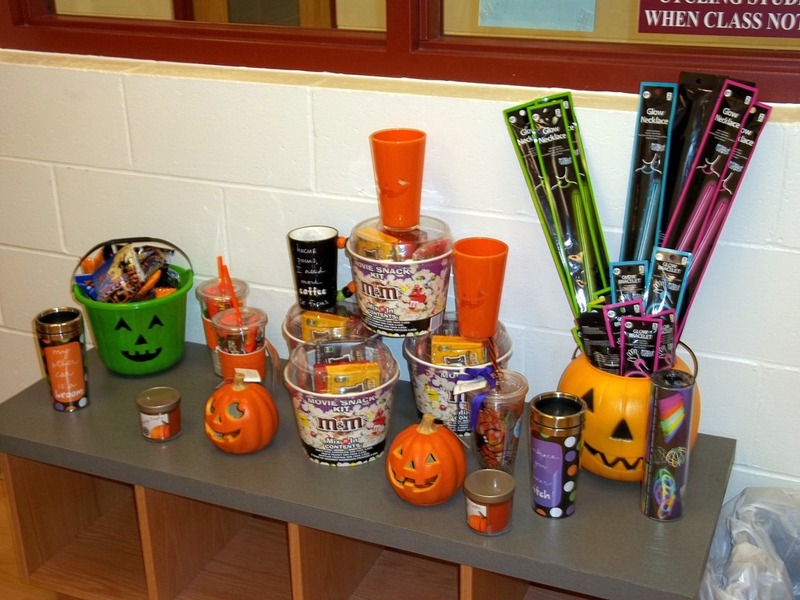 Oh…and there were door prizes too! I broke out my LED light up tutu for the class too!! By the way…That skeleton really wanted a kiss! The door prizes were a bit on the unhealthy side, but it is Halloween. Sometimes you just gotta let go! However, there were some door prizes that did not involve sugar to choose from too . We had a great ride too! It was a bit different. I used theme songs from Halloween type sitcoms for our recoveries. Everyone was singing along before long! This entry was posted in Uncategorized on October 30, 2012 by fromfltond. Awesome, I want to come to your spin class. Sounds like a great time. Love your costume! Thank you!!! Feel free to come up to good old ND!